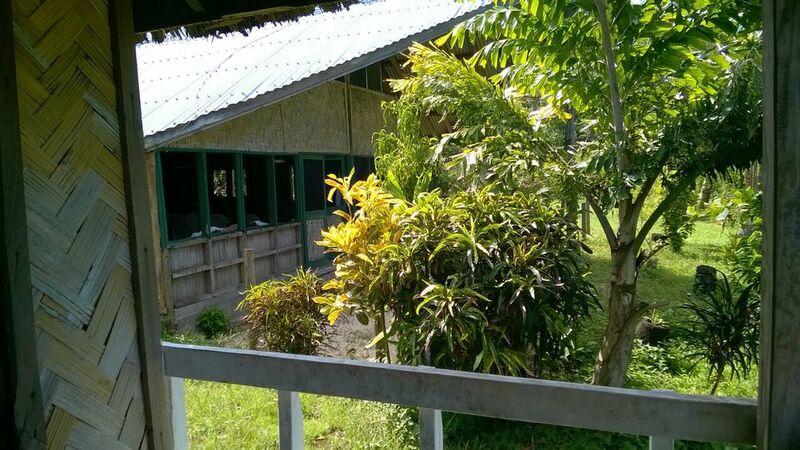 The best budget accommodation in Tanna! Manmimar Nature Lodge was built by local Tanna man, Tom Nangam and his friends. Whilst building the lodge, the men were sustained by purely by paw paw, coconut and the native green leaf - hence the logo was born! In March 2015, Tanna was hit hard by cyclone Pam. Most of the property was completely destroyed. Tom was not disheartened by this, but instead has taken to opportunity to expand and build an additional 4 bungalows that are due to be complete by mid 2016. The team at Manmimar Nature Lodge are looking forward to welcoming more guests to the beautiful and mysterious island of Tanna. Basic but comfortable is the theme at Manmimar Nature Lodge. Our bungalows are perfect for those who are wanting to travel on a budget but also want to make sure that their accommodation is clean, comfortable and most importantly welcoming! 5 bungalows are currently available . All current bungalows have ensuite bathrooms with hot and cold water. Manmimar hopes to welcome travellers who require a base whilst exploring the magical island of Tanna. Spacious grounds and gardens makes Manmimar the perfect spot to relax after a day of exploring. Additionally, there is a large restaurant and bar area, with seating for 50, making Manmimar a great location for meetings or group bookings. Check out our group bookings page for more information. Prices AUD90 per night per bungalow ( up to 3 people) and this includes breakfast and daily housekeeping. Manmimar is excited to launch our new camping site. With our excellent location, large onsite restaurant area and welcoming staff, we couldn't think of a better place to pitch a tent and enjoy everything that Tanna has to offer. rices start at AUD10 per person per night. On site bathrooms facililites including hot showers, toilet and sinks available. Laundry service available (Additional charges apply). Linen and towels are available for hire, please contact us for more information.